How is the safety of batteries ensured? And how do they actually charge? What do PHEV and BEV stand for? Find the answers to all your questions about electric vehicle batteries here. Are there multiple types of batteries for e-cars? How do they differ from each other? Yes. 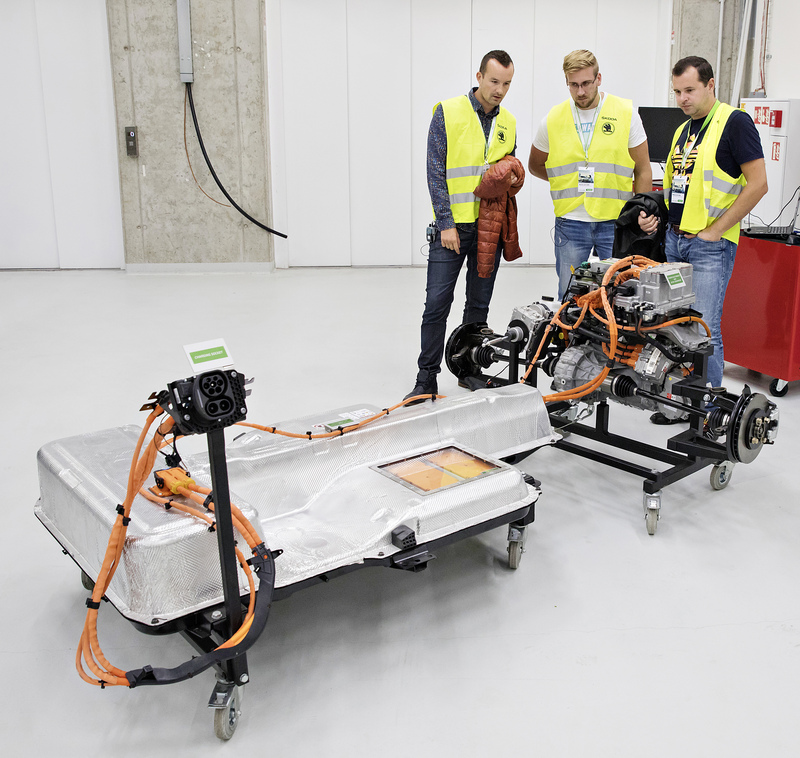 There are two types – PHEV and BEV traction batteries. PHEV traction batteries are used in cars fitted not only with an electric motor, but also an internal combustion engine (i.e. hybrids). BEV traction batteries, on the other hand, are found in purely electric cars. Is there any difference between batteries for PHEV (hybrid) cars and purely electric BEVs? Yes, there is. There are fundamental differences in their capacity and design. PHEV batteries have less capacity and are usually located towards the back of the car, under the second row of seats, as the vehicle also has to accommodate an internal combustion engine. The design of BEV batteries, generally reminiscent of a skateboard, is derived from their location in the floor. As BEVs have no internal combustion engine, the battery logically has more capacity. What are the main advantages of a PHEV? The main advantage of these cars is that they reduce fuel consumption and CO2 emissions and unquestionably offer better handling, both when setting off and while cruising. A vehicle powered by an electric motor alone also provides a more comfortable travelling experience. 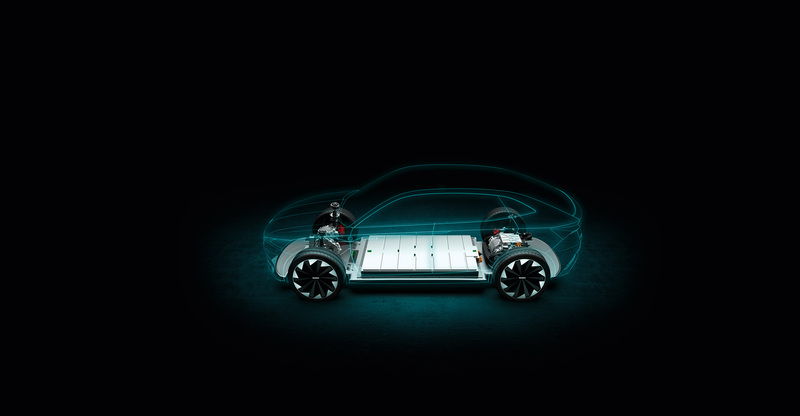 What are the basic components of an electric-car battery? A traction battery consists of battery cells located in interconnected battery modules that are stored on a battery tray. The battery modules and the tray are covered by a lid and form a compact unit. 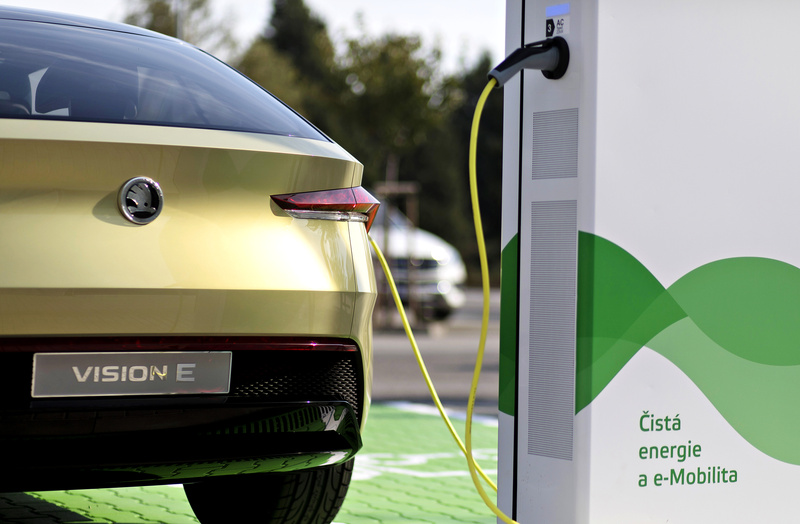 How will ŠKODA ensure that batteries in electric cars are safe? For ŠKODA and the entire VW Group, customer safety comes first. There are many security features in the battery to prevent it from catching alight or from being damaged in any other way that could endanger the person operating the car. These include three-stage protection of the traction battery against damage. The first two stages are software-related; the last stage is mechanical. Mechanical protection – in the form of high-voltage contactors – has been doubled up in the battery. Finally, the battery incorporates a basic fuse. There are moves afoot at ŠKODA to manufacture electrical components. Will these include batteries? Yes. ŠKODA will start manufacturing PHEV battery systems this year. 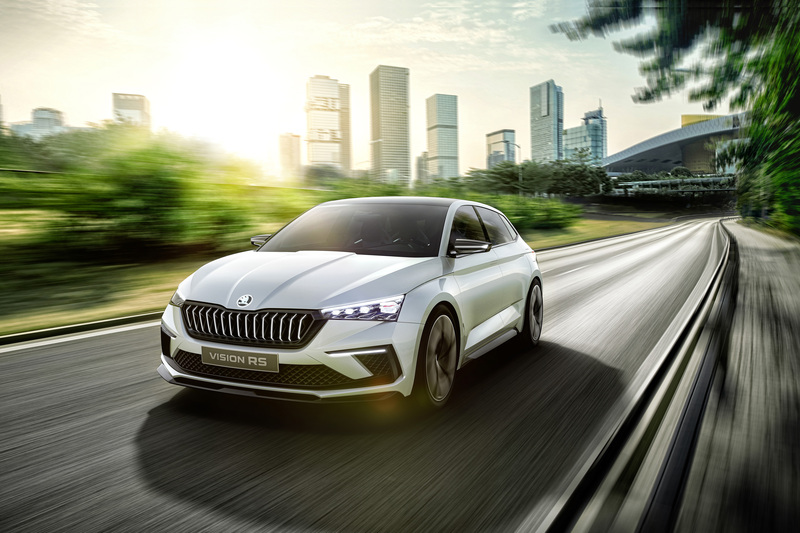 These ŠKODA-made batteries will not be limited to ŠKODAs, as there are also plans to use them in the cars of other VW Group marques, i.e. VW, SEAT and AUDI. What sort of capacity do these batteries have? The main indicator for electric cars is their range on a full charge (i.e. powered solely by electricity). These days, the electricity-only range of PHEV batteries is around 50 km, compared to a BEV battery’s 300 kilometres or so. However, by 2020, when the VISION E concept is set to be launched as a production car, the range per charge will be around 500 km. What ways are there to charge a battery and what are the differences between them? 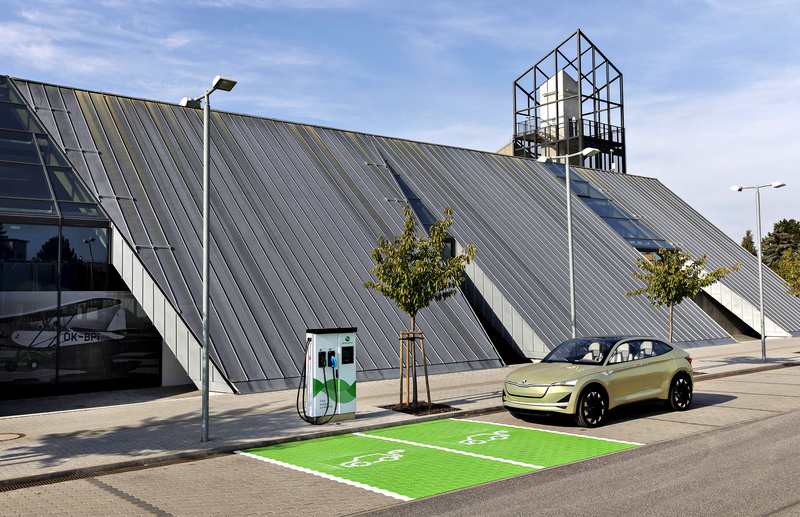 There are currently two common ways of charging an electric vehicle: one via a rapid charging point, the other via a standard household power socket. 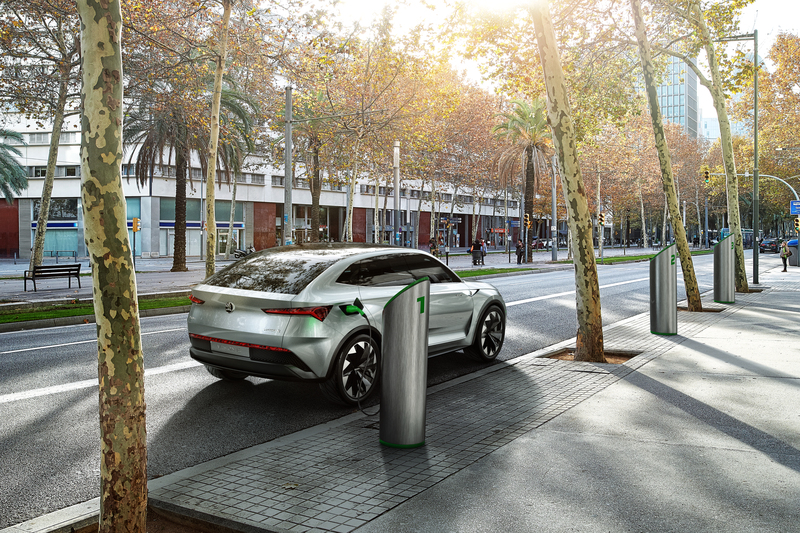 Rapid charging points can be found in places such as shopping centres, and are being extended to petrol stations and locations in cities. The advantage of these points is that they draw on a higher charging current than the power available at home. The difference is due to the size of the fuse. Another option is inductive (i.e. cordless) charging.